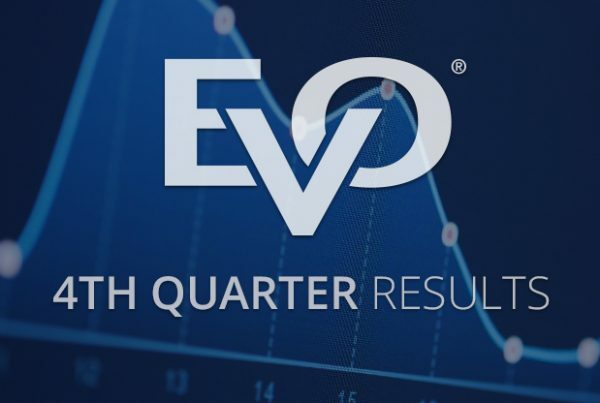 EVO Reports Second Quarter 2018 Results | EVO Payments, Inc.
Atlanta – August 8, 2018 –EVO Payments, Inc. (NASDAQ: EVOP) (“EVO” or the “Company”) today announced its second quarter financial results and its first earnings announcement as a public company. For the second quarter ended June 30, 2018, revenue increased 14% to $140.9 million, compared to $123.9 million in the prior year. 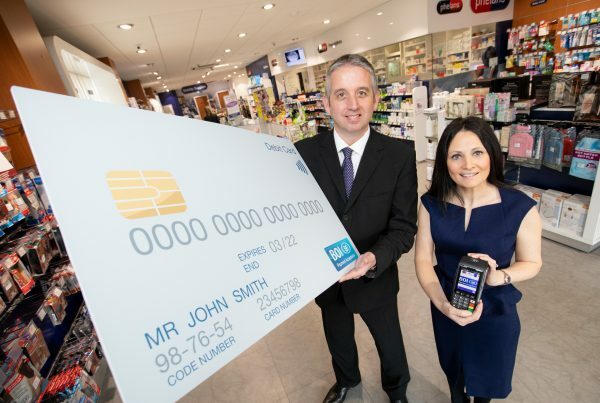 On a currency-neutral basis, revenue increased 11% over the prior year. On a GAAP basis for the second quarter, net income attributable to EVO Payments, Inc. was $16.7 million or $0.96 per diluted share, representing net income from the initial public offering date forward. Adjusted EBITDA defined as earnings before interest, taxes, depreciation, amortization, and the impact of share-based compensation, transition, acquisition-related, and integration costs, increased 12% to $37.0 million for the quarter, compared to $33.0 million in the prior year. On a currency-neutral basis, adjusted EBITDA grew 10% over the prior year. For the full year 2018, the Company expects revenue to range from $556 million to $564 million, reflecting growth of 10% to 12% over 2017 reported results and 9% to 10% over currency-neutral 2017 results. Adjusted EBITDA is expected to be in a range of $142 million and $146 million, reflecting growth of 11% to 14% over 2017 adjusted EBITDA and 10% to 13% over currency-neutral 2017 adjusted EBITDA. Pro forma adjusted net income per diluted share is expected to be in a range of $0.44 to $0.52. EVO’s management will host a conference call for investors at 8:00 a.m. Eastern Time on Wednesday, August 8, 2018 to discuss the results. 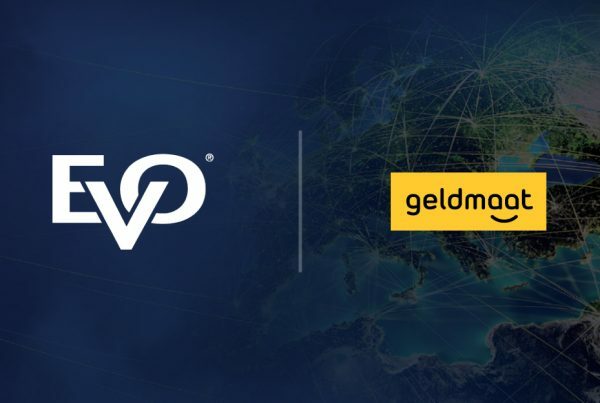 Participants may access the conference call via the investor relations section of the company’s website at www.evopayments.com, or participants may also dial (877) 356-5729 inside North America and (629) 228-0718 outside North America to listen. The conference ID number is 6550489. A recording of the call will be archived on the company’s investor relations website following the live call. This announcement and the Company’s discussion today both include forward-looking statements. Forward-looking statements are subject to risks and uncertainty. They are not guarantees of future performance, and the Company’s actual results could differ materially from the expectations expressed or implied in any forward-looking statements. You should not put undue reliance upon them. Words such as “anticipates,” “believes,” “continues,” “estimates,” “expects,” “goal,” “objectives,” “intends,” “may,” “opportunity,” “plans,” “potential,” “near-term,” “long-term,” “projections,” “assumptions,” “projects,” “guidance,” “forecast,” “outlook,” “target,” “should,” “could,” “would,” “will” and comparable words are a common way to identify forward-looking statements. Examples of forward-looking statements contained in this release include statements about the Company’s full year 2018 outlook. Factors that could contribute to differences between the Company’s actual results and the expectations expressed or implied in any forward-looking statements include the following: changing industry trends and changing needs and preferences of our customers and consumers; the impact of substantial and increasingly intense competition; changes in the competitive landscape, including disintermediation from other participants in the payments chain; the impact of global economic, political and other conditions on trends in consumer, business and government spending; compliance with governmental regulations and other legal obligations, particularly related to privacy, data protection and information security, and consumer protection laws; the ability to protect the Company’s systems and data from continually evolving cybersecurity risks or other technological risks; failures in the Company’s processing systems, software defects, computer viruses and development delays; degradation of the quality of the products and services the Company offers; the Company’s ability to successfully complete, integrate and realize the expected benefits of any acquisitions it pursues or has completed; continued consolidation in the banking and payment services industries; increased customer, referral partner or sales partner attrition; the incurrence of chargeback liability; fraud by merchants or others; service failures by third-party vendors providing products and services to the Company; failure to maintain merchant relationships and alliances; ineffective risk management policies and procedures; reputational harm to the Company or its partners; the Company’s ability to recruit, retain and develop qualified personnel; geopolitical and other risks associated with operations outside of the United States; decline in the use of cards as a payment mechanism for consumers or adverse developments with respect to the card industry in general; increases in card network fees; failure to comply with the applicable requirements of card networks; changes in foreign currency exchange rates; inability to raise additional capital to fund the Company’s operations on acceptable terms or at all; failure to protect the Company’s intellectual property rights and defend against potential patent claims; failure to comply with, or changes in, laws, regulations and enforcement activities; future impairment charges; the impact of the Company’s organizational structure; the significant influence of certain of the Company’s stockholders over Company decisions; and the other risks and factors, including the risks listed under “Item 1A. Risk factors,” contained in the Company’s quarterly report on Form 10-Q for the quarter ended June 30, 2018. EVO Payments, Inc. has supplemented revenue, net income/(loss) and earnings per share information determined in accordance with GAAP by providing these and other measures on an adjusted basis in this release to assist with evaluating performance. Such financial measures should not be considered as an alternative to GAAP revenue or net income/(loss), and such measures may not be comparable to those reported by other companies. Management uses these adjusted financial performance measures for financial and operational decision making and as a means to evaluate period-to-period comparisons. Management also uses these non-GAAP financial measures, together with other metrics, to set goals for and measure the performance of the business and to determine incentive compensation. The Company believes that these adjusted measures provide useful information to investors about operating results and enhance the overall understanding of financial performance of the Company’s core business by presenting the Company’s results without giving effect to equity-based compensation, giving pro forma effect to the Company’s going forward effective tax rate following its Up-C reorganization, costs related to restructuring transactions, acquisition costs and other transitionary costs. This release also contains information on various financial measures presented on a currency-neutral basis. The Company believes these currency-neutral measures provide useful information to investors about the Company’s performance without taking into account fluctuations caused by currency exchange rates in the non-U.S. jurisdictions where the Company operates. Reconciliations of each non-GAAP measure to the most directly comparable GAAP measure are included in the schedules to this release. view full release – including financial schedules.